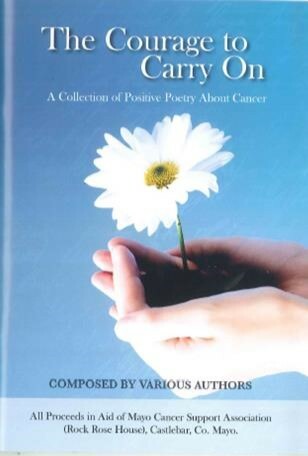 “The Courage to Carry On” a collection of positive poetry about cancer was launched this week in the Plaza Hotel, Westport. This book is a beautifully put-together collection of insightful poems written by various local poets ranging in age from school children to retirees. The theme of the book is one of encouragement and hope for the reader. All Proceeds to Rock Rose House, Castlebar. The book is available at Castle Street bookshop, Castlebar, Durcan’s Gala Louisburgh, Cuffe’s Centra Belmullet, Dr Ollie White, Westport and at Rock Rose House, Castlebar.